By one calculation, the Penguins have a better than 99-percent chance to make the Stanley Cup Playoffs. By another, exactly 99 percent. By one BIASED calculation obviously created by HATERZ, the Pens have mere 98-percent odds to reach the postseason. Try not to take this as a shaming or a finger-wagging, but rather as a piece of courteous advice for your mental health: Penguins fans, you need to stop worrying so much. Your hockey team (unless an abject catastrophe of Crosby-Malkin-Fleury injuries strikes) is going to punch a Playoff Dance Card, which is really the only achievement that matters in the NHL's too-long-by-half regular season. Unless you are gravely concerned by the possibility that Consol Energy Center's rafters will be missing a 2014-15 METROPOLITAN DIVISION CHAMPIONS banner, you have precious little about which to worry. Again, I write all this not to bemoan Penguins fans watching their team The Way I Like To Watch It, Thank You Very Much. Sports act as escapism for many folks, and if you want to escape by yelling at the hockey men who do not win every game to your full satisfaction, you go yell at your flat-screen as loud as you would like. For the rest of you, I offer a guide: Factors That Actually Matter (FTAM) for the ability of your hockey team to win the Stanley Cup in 2015. If you focus on the FTAM instead of letting your heart rate fly off the charts at every three-goal loss, I think your cardiologist will thank you. 1. How Does The Penalty Kill Look? I'll tell you right now: I am mostly cribbing from the presentation of Nilesh Shah, PhD at the 2014 Pittsburgh Hockey Analytics Conference. Shah is working on a model that projects playoff results based on regular season data. The first important point of data: penalty-kill ability. Shah finds that the difference between both teams' penalty-kill stats in the regular season is one of the predictive factors for postseason success. On the PK, the 2014-15 Penguins look strong. 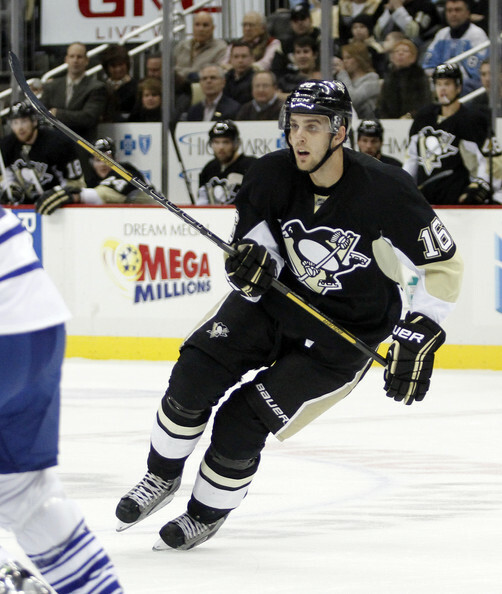 Yes, Pascal Dupuis is gone, and that is a tough loss for the team. However, last year's PK finished just fine in Dupuis' absence (5th in the NHL at 85 percent) -- and they return stalwarts Craig Adams, Paul Martin, Rob Scuderi and Brandon Sutter, four of the top five players from a season ago in shorthanded time on ice. This year, the penalty kill looks solid once again -- 5th in the NHL at right around 86 percent kill rate. Marcel Goc is doing his part, and once Kris Letang returns, you have a pretty airtight defensive combination of Letang and Martin in front of Marc-Andre Fleury. 2. How Are Your Shot Attempts vs. Shot-Attempts Against Looking? Or for those well-versed in Stats of Fancy, how is your 5v5 Fenwick% looking? 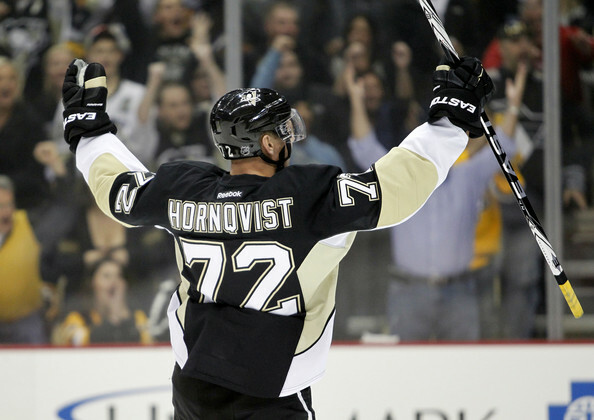 Patric Hornqvist: Are we doing shots?! Here, the Penguins are not looking as good in the early goings. They sit 15th in the NHL with a 49.8 Fenwick%. Not bad, certainly. Playoff-worthy. But it is not the kind of dominance you would prefer to see. Losing Patric Hornqvist hurts in this respect, as he has been a shot-attempt dominator for the Pens, tops on the team in Fenwick Rel% followed by Chris Kunitz. This will be an area GM Jim Rutherford ought to pursue in the trade market when the calendar turns -- find your team a top-six winger that can send the puck toward the goal. 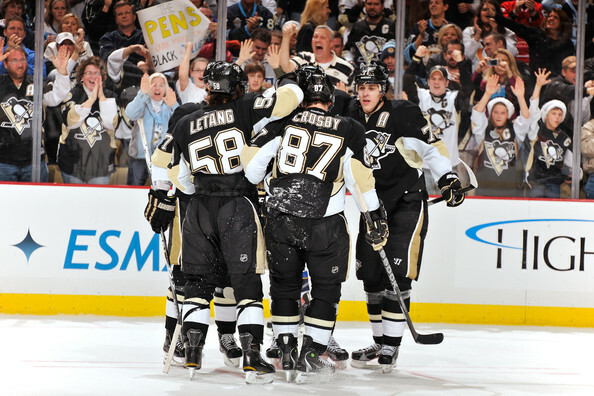 Pens are 10-1-0 when outshooting their opponents this year. 3. How is the Goalie Looking? "All it takes is a hot goalie." So on to the final FTAM for your Pittsburgh Penguins: how does the goalie look? Better than he ever has before. 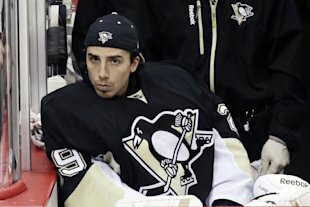 Marc-Andre Fleury is posting career-best numbers: a .925 save percentage, a .926 adjusted save percentage and a 2.16 goals against average. Of course, having career-best numbers through two months just means that Eli's Coming and you are due to regress to your career averages. But there is something to be said for looking good and gaining confidence in net. I don't know how much 'something' that truly is, especially when goaltending performance is just s'gosh darn volatile, but doesn't Good Fleury make you as a fan feel more content and at ease than Shaky Fleury? This is what it is all about. The Penguins are making the playoffs, barring a 1-in-100 disaster. You, the fan, ought to be content and at ease that your team will play past April 11. As for what happens after? Watch the penalty kill. Watch the shot attempt numbers. Watch the shot suppression. Watch the goalie. The clues for the likeliness of Cup run will start to gather.